Try the luck yourself on the rocks at the edge of the beach, or from the coast or from the wooden bridge or in an afternoon fishing excursion. Here is all the necessary equipment and the experience for all types of fishing. 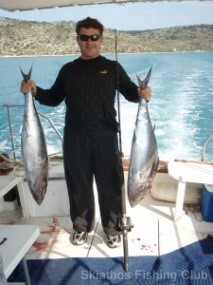 Spear Fishing, Trolling Fishing, Bottom Fishing, Jigging with our boat or surf casting from the beach. 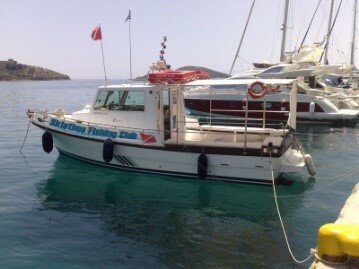 The only thing you have to do is to call us and book a fishing trip with us. 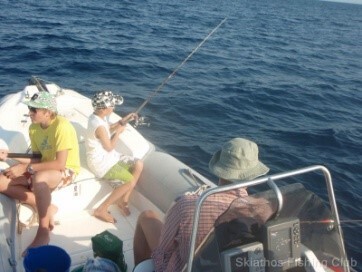 Our experienced personnel will arrange the trip and take care of everything so you can enjoy this unique fishing trip experience in Skiathos Island. Ιs also organized fishing for squid at night.